You have signed up for 100 Mbps speed Internet service and the painfully slow download speeds and mind blogging slow streams are killing you. Don’t you wish you got the speed you need and are paying for? Well, we will share with you 10 reasons why you Wi-Fi speed stinks and how you can overcome it. The first thing to check before going on a witch-hunt is if the speed is what you think you are receiving from the ISP. At times, you may sign up for a particular Internet speed, but the ISP has been providing you with a much lower speed than your said plan. Just go to speedtest.net to run a speed test. If the results are what you expected, then it’s time to find other reasons. And if the speed tests shows a much lower speed than your plan, then it’s time to call your network call center. They may need to upgrade you to the better deal and fix your problem of slow internet. Many times, the router you use may get outdated and the firmware does not match the latest Wi-Fi standard. The newest Wi-Fi standard is 802.11ac and 802.11n is a popular standard for routers. In case your router is still running on 802.11b or 802.11g standard, then it is time for a change of device. When you set up a router, it will automatically detect the least crowded channel. This becomes it’s default channel and will it will continue to work on it. However, the nearby homes, offices or neighbors may bring in their routers, which starts crowding the particular channel used by your router. This increase in traffic may slow down your Internet speed. Thus, it is wise to use InSSIDer or NirSoft software to check the Wi-Fi spectrum and find a less crowded channel. You may have the latest router installed, yet you need to upgrade the firmware regularly. Many updates from the manufacture help in improving the bandwidth, feature set as well as resiliency to signals. Thus, visit the manufacturer’s website and check the updates for your router’s firmware. Just like the router’s firmware, at times, the USB or built in wireless adapter/driver needs an upgrade. The adapter or driver may not be able to communicate with the laptop or PC causing all the slow Internet problems. Upgrade your driver using online free tools such as Driver Talent that helps find the problem and even give a downloadable solution to update your drivers and adapters. Many routers have ‘power savings’ mode enabled in them by default. This tends to help to save a few milliwatts that in turn affects the bandwidth. So, go to the router’s settings and search for ‘Transmission Power’ or Eco modes. Turn these modes OFF. Also look for any kind of ‘Automatic Transmission’ settings. Turn it OFF as well as and keep it at 100%. At times, the distance between the wireless router as well as the wireless adapter can cause disturbance of speed. 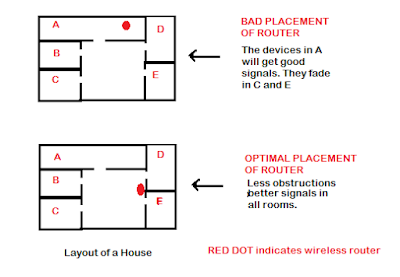 If there are concreate walls or furniture in the path of the router signals could hamper your Internet speed. You can try NetSpot for Mac or Heatmapper for Windows and track your Wi-Fi coverage at home as well as office. Thus, allowing you to find dark spots where the Internet speed is reduced. 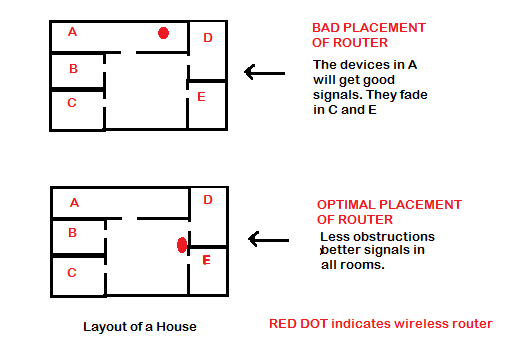 At times Wi-Fi signals are weak when the computer or the laptop has too much clutter installed on it or has become too old. It may be running well, but once the OS version is outdated, it will affect all the other programs including the Internet speed. So, time to declutter the computer by uninstalling programs and files. Or, maybe you should think of investing in a new computer or laptop. It can be possible that the next-door kid has figured out your Wi-Fi password, or your mom has shared your password with the friendly neighbor next door. These freeloaders may be sucking out the bandwidth of your Internet connection by streaming HD movies, downloading large files or playing online games. Better change your Wi-Fi network password and be sure to make it strong. This will allow you to get rid of freeloaders who hog up your Internet speed. Is your router placed over the refrigerator? Is there a microwave oven nearby your router? Or do you keep your mobile phones or tablets near your router? Well, many devices such as these as well as fairy lights, baby monitors, speakers, etc. tend to emit their own frequencies that interferers with your routers signals. This affects your Internet speed leading to a slower connection. Get rid of these interferences away from your router and observe if it does make difference to your Internet speed. These are the 10 reasons why your Wi-Fi speed gives you a headache. You should try to look into these reasons and make sure your Internet speed improves. What is the difference between router, hub and switch?